Thanks to some seriously genius marketing as well as high-quality, innovative watches, Rolex has grown into one of the most recognizable luxury watch brands in the world. Even if you aren’t into watches, chances are you would be able to spot one on someone’s wrist while shaking their hand. While Rolex is more prominently associated as a men’s brand, much of their success lies in their women’s line of watches thanks to their use of feminine proportions and luxurious materials. Women aren’t just limited to the ladies models, either. They also gravitate towards the bold fit of men’s models, such as the GMT Master and Day-Date. Simply put, Rolex is the brand that women want. While many collectors appreciate the feminine size and weight of the ladies line of Rolex watches, there is a significant demand among women for larger statement pieces, with many of them turning to men’s models such as the Submariner, GMT-Master, Day-Date, Milgauss, and even the massive Deepsea. Worn loosely like a bracelet or fitted to hug the wrist, the men’s line of Rolex watches looks just as suitable on women as it does on men. With famous women such as Jennifer Aniston, Sandra Bullock, and Charlize Theron stepping out with sports models on their wrist, the interest among women to wear men’s models is only expected to grow. For decades, Rolex has been producing ladies variations of their classics, such as the Datejust, Date, Oyster Perpetual, and Yacht-Master. While each model looks similar to the original men’s version, the proportions are carefully developed to suit a ladies wrist. Additionally, the cases are equipped with smaller movements to accommodate the smaller case sizes. For women who prefer a classic and sophisticated timepiece, Rolex’s line of ladies watches is often their first choice. Early variations of the lady Datejust, Date, and Oyster Perpetual were fitted with a 26mm or 24mm Oyster case and wore on sleek, jewelry-like bracelets. In recent years, Rolex upgraded these models to offer contemporary 28mm cases with slightly fatter lugs, keeping up with the trend among women for larger watches. Some variations are simple, offering subtle dials and either a stainless steel, two-tone, or yellow gold finish. There are also references that boast incredible dials and bezels decorated with diamonds and other precious metals, making it easy to choose the perfect Rolex watch for your wrist. In 1992, Rolex announced the Pearlmaster, which is characterized by diamond bezels, the use of precious metals, a larger 29mm Oyster case, and a Pearlmaster bracelet made just for this model. An elevated variation of the Lady-Datejust, the Pearlmaster is the choice among women who seek a luxurious jewelry watch. Just two years later in 1994, Rolex released the Lady Yacht-Master, which also features a slightly larger 29mm Oyster case. The Lady-Yacht Master was a particularly exciting addition to the Rolex catalog because it was the first sports watch developed for women. By this time, Rolex had also released mid-size variations of the Datejust and Yacht-Master, appealing to a growing interest among women for larger timepieces. For decades, Rolex has been producing both men’s and women’s watches in precious metals, including platinum, white gold, yellow gold, and pink gold. 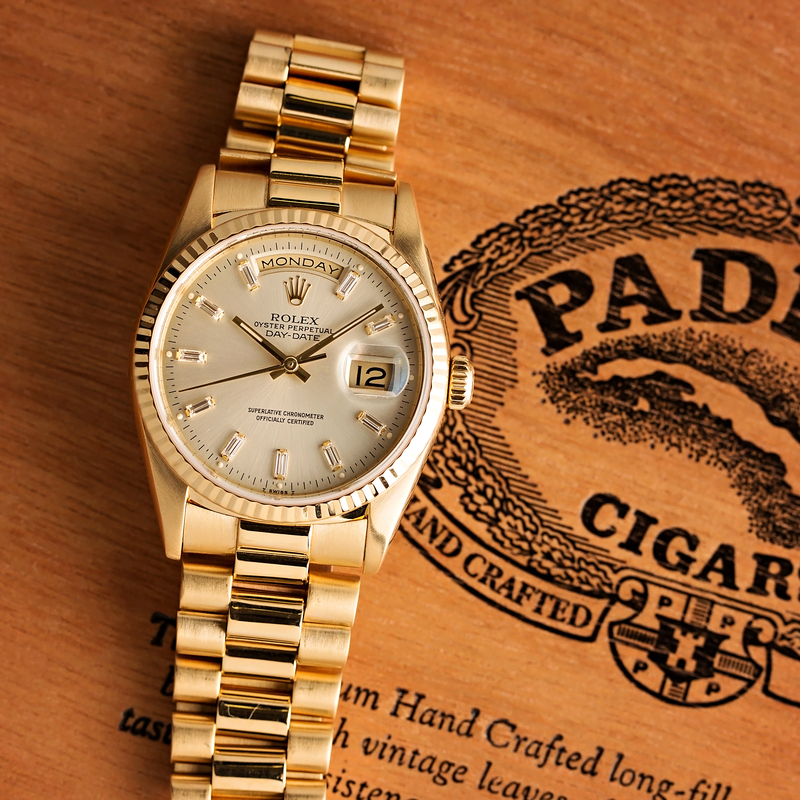 While white and yellow gold finishes are classic and timeless, rose gold is growing in popularity, with timepieces such as the men’s Day-Date and Lady-Datejust becoming popular among lady Rolex collectors. 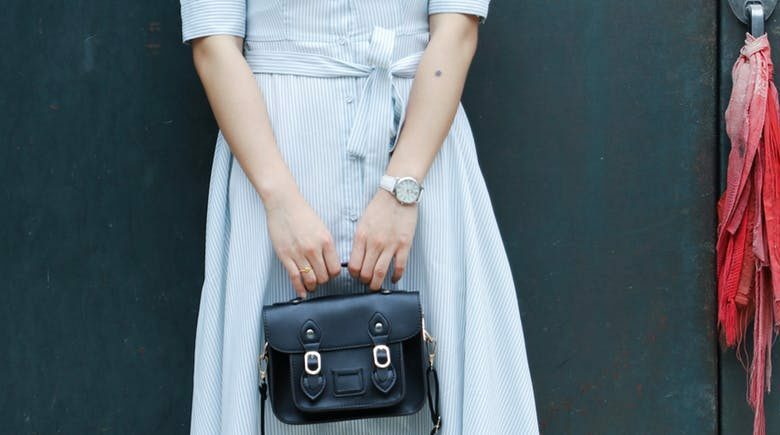 Many fashion brands are jumping on the wagon, offering cheap variations of these watches. However, they don’t compare to the quality and luster of a Rolex timepiece.